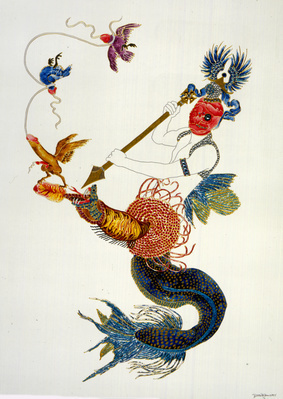 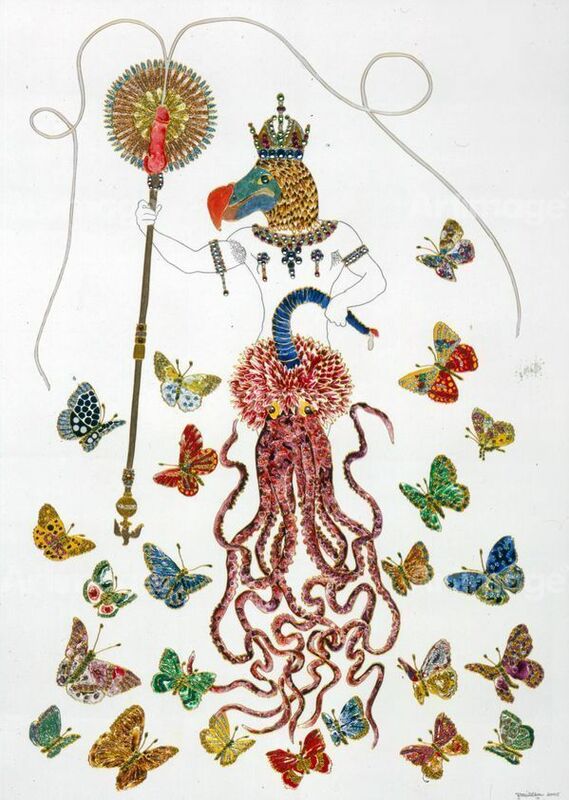 Raqib Shaw is best known for his paintings, combining fantasy, sexuality, violence and beauty. 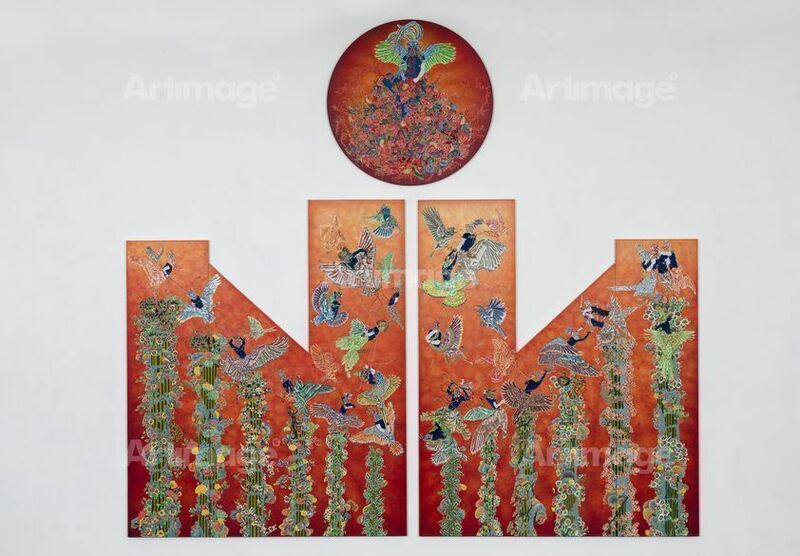 Born in 1974 in Calcutta, India, he moved to London in 1988, going on to complete his BA and MA from Central Saint Martin’s College of Art and Design. Shaw’s intricately detailed paintings incorporate vibrant, coloured jewels and enamels, and have been influenced by a wide variety of sources, including Hindu mythology, Renaissance iconography, Persian and Asian craft, and medieval heraldry. 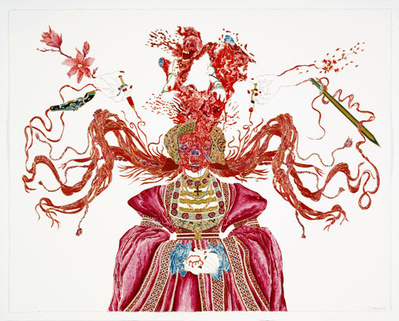 He has exhibited widely both nationally and internationally, with notable solo shows held at Galerie Thaddeus Ropac in Paris, White Cube in London, Scottish National Gallery of Modern Art in Edinburgh and Pace Gallery in New York. His work is also held in the public collections of the Museum of Modern Art in New York, Queensland Art Gallery in Australia, and Tate Britain in London. 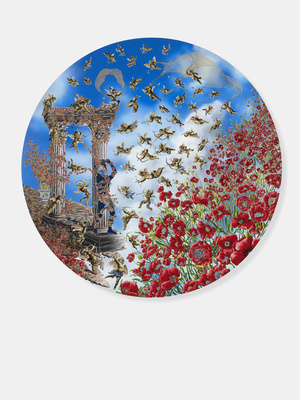 Raqib Shaw lives and works in London, England.